Product specific video and still content compiled and delivered ‘real-time’ to your high margin digital signage sales positions. 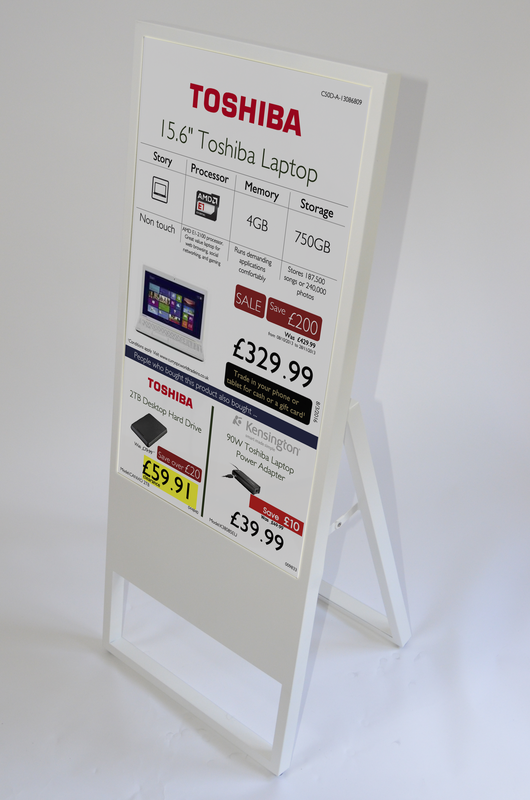 Our Signage Direct system creates & delivers signage content to your own TV products or digital signage displays including phones, tablets and laptops. Delivering real time, product specific content along with add-ons and rich messaging. This can be interspaced with video content or web-feeds appropriate to the message. Constantly changing to appropriate content. Does not suffer from ‘same old info’ syndrome as do most other CMSs. iRexM3 is Hardware agnostic allowing you a change of mind on hardware. It is intentionally designed so you are not backed into a corner on this, the most expensive of components.